The reception rental fee is for a five-hour event between the hours of 5:00pm – 11:00pm on Friday or Saturday, and between the hours of 4:00pm – 10:00pm on Sunday through Thursday. Thirty-minute wedding ceremonies are held in the beautiful North Garden for an additional fee. This fee includes a coordinator, staff, white garden chairs, and a one-hour rehearsal. Blithewold also offers the North Garden for morning wedding ceremonies Saturdays and Sundays from May through October starting at 10:00am. These ceremonies are limited to 50 guests and do not include exclusive rights to the Mansion and Grounds. You can also look at the Blithewold Wedding Brochure here. 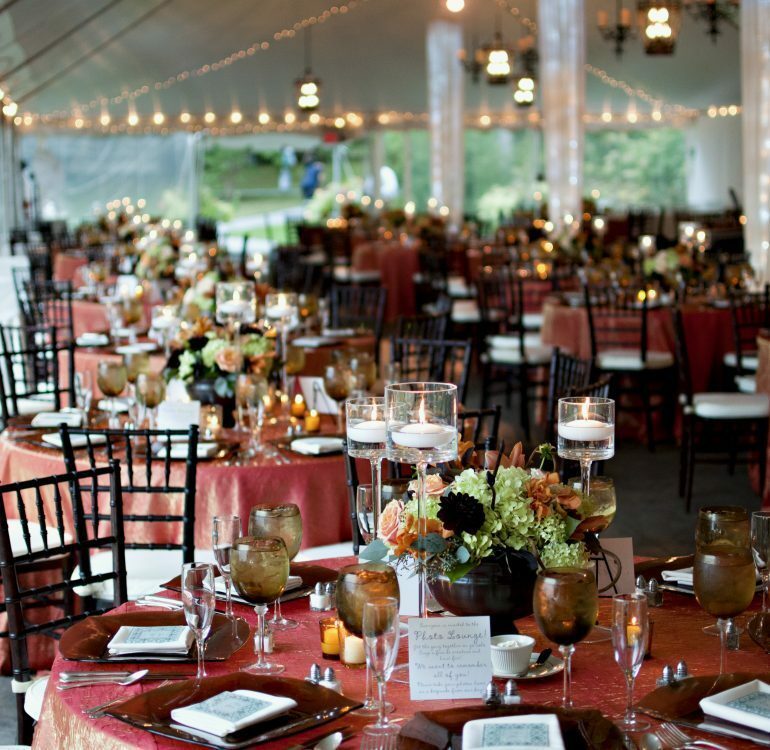 Other rentals including tables, chairs, a dance floor, custom lighting, and the caterer are the responsibility of the lessee. Caterer must come from the list of approved companies.